GIF image to PDF Converter GIF graphics files into PDF document pages. GIF into PDF utility turn batch Gif format image into a single PDF document pages. GIF to PDF Creator converting application is simple to convert images into PDF documents. GIF image to PDF Converter Convert GIF images into adobe PDF. GIF into PDF software application are userfriendly utility tool programe for GIF conversion of batch images into PDF documents pages. Gif to adobe PDF program make Pdf from several gif image file formats. GIF to PDF Converter, working as a virtual printer, can convert GIF to PDF document by printing way.GIF2PDF convert GIF to PDF with one click. Besides converting function, the GIF in PDF Creator set password protection, merge multiple GIF images into one PDF file. GIF into PDF utility convert all photos, images, pictures and snapshot into PDF file, which are in .GIF file extension. GIF into PDF generator tool create PDF document of all .GIF file format. 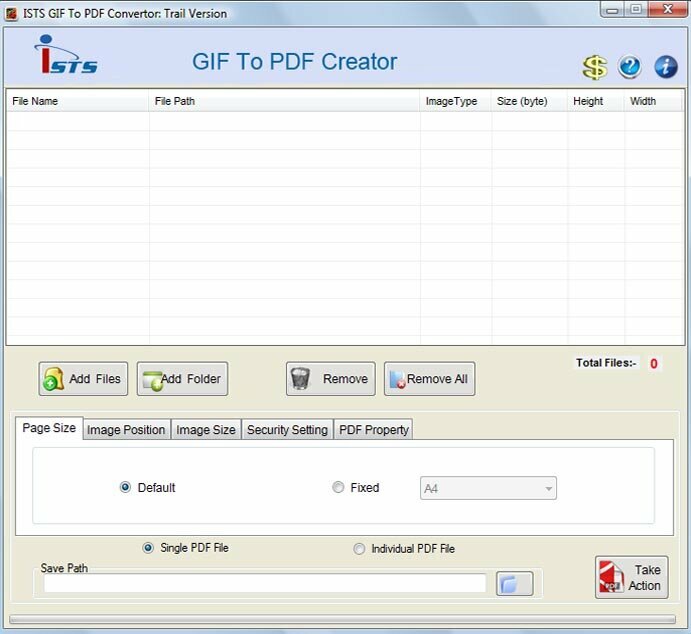 GIF 2 PDF converting utility is very fast, quick, affordable and easy to use PDF Software. * GIF to PDF Converter maker user friendly and self explaining step-by-step user\'s interface allows you to convert GIF file into PDF file. * GIF to PDF Converter generator provides a very convenient, simple way to compose electronic Books which can then be issued to the Web. * GIF to PDF Converter Software have function to convert several GIF files in a step, you can select batch GIF files for converting in once. * GIF to PDF Converter can easily change any type of photos, pictures, images, snapshots to PDF file with high quality resolution. * GIF to PDF Converter Application has all type of setting options, such as picture size, page size, page margin and many more. * GIF to PDF converter software supports to convert GIF files into PDF document. * GIF to PDF Converter utility tool support all pictures, photos, images, snapshots, stills, photographs, snaps, and shots etc, which are in .GIF format for converting into PDF document. * GIF to PDF Converter has very faster processing speed and operates independently without Adobe Acrobat. CyberMatrix Pro Schedule Web is a simple to use web-based appointment scheduling program. Appointment schedules can be accessed throughout your intranet or even the Internet. Spreadsheet for managing your plant PLCs. World First Desktop app for Link Management and Tracking with UTM Link Builder&URL Shortener. You can also share the link on Social Network with one click. Know how many and from where people are visiting your links.